Take in Ireland’s famous scenery, vibrant cities and wealth ofhistory on a premium tour of Ireland. With the Giant’s Causeway,Dublin and Belfast, you really get an authentic taste of theEmerald Isle. Our destination hotels, including Loch Eske Castleare some of the best hotels in Ireland, qualifying this tour forour exclusive Signature stamp. Departs from May 2017 to June 2017. You arrive into the port of Dublin today after taking the ferryfrom Holyhead. Transferring to our hotel, the 4-Star Brooks Hotel,on arrival. Today we explore Dublin on a sightseeing tour, seeing theJameson Distillery and the book of Kells. Transfer from Dublin by train to Cork. Later we visit BlarneyCastle with a local guide. Take an enjoyable cruise around Kinsale Harbour today.Afterwards we return to Cork for free time before the journey backto Kinsale. Today we travel by coach to Killarney. Tonight we see acaptivating performance at the Celtic Steps show. On Day6 we drive the Ring of Kerry, and take a ride on theKillarney Jaunting Cars. The mesmerising Cliffs of Moher serve as our destination todayon a coach trip. 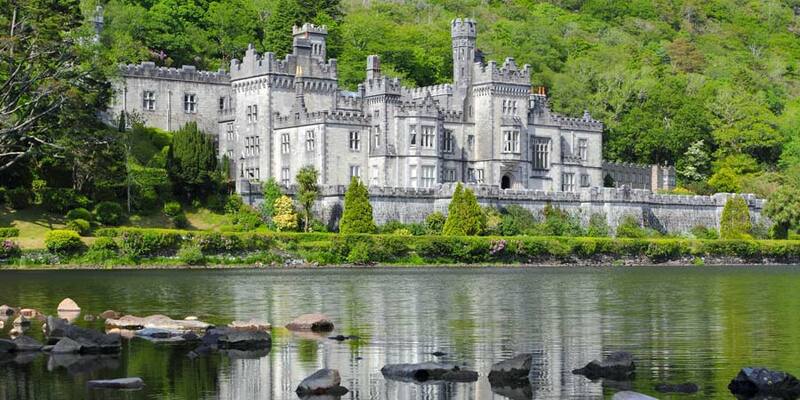 We visit Kylemore Abbey today, a Benedictine Monastery on thegrounds of Kylemore Castle. Later we have free time in Galway. OnDay 9 we visit Connemara National Park. We take the coach to see Slieve League today. On Day11 we visit Dunluce Castle, supposedly the inspiration forC.S Lewis’ Cair Paravel in the Chronicles of Narnia. Later we catchthe train from Derry Derry / Londonderry to Coleraine (standardclass) on a wonderfully scenic ride through Northern Ireland’sbeautiful countryside. We enjoy time at the famous Bushmills Distillery with andopportunity to taste the produce. We then take a ride to theGiant’s Causeway. We explore Belfast this morning on a guided city tour. OnDay 14 we transfer to the port in Dublin for ourjourney home.